Our news and retrospective posts have been a bit light the last few days as we have been updating and improving our website to make the reading experience more enjoyable for our viewers. We just rolled out our new design today which isn't too much different from our past design, but it does include bigger, brighter images along with a wider page design to fit the larger computer and laptop displays that are more prevalent today. One of the nice new features for our visitors to utilize is the floating menu at the top of the page. 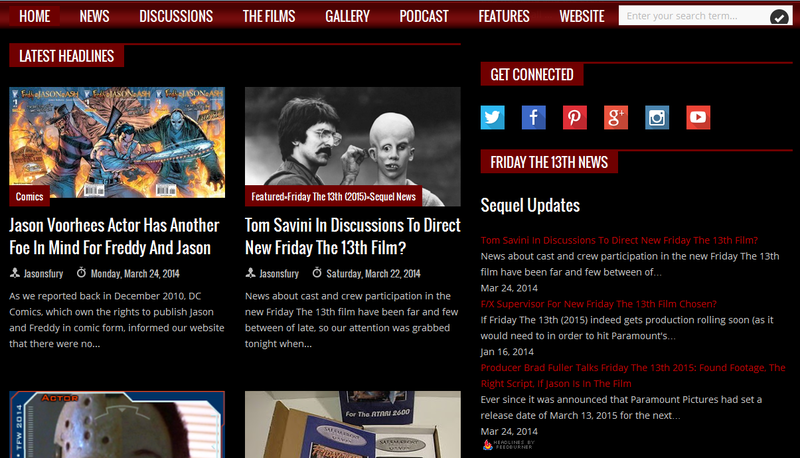 No longer will our readers have to scroll back to the top of the page to find more information, which we hope will make people happier when looking for everything to do with Friday The 13th! There are some other little changes here and there, but one other notable feature we will be taking advantage of is highlighting reader comments on our stories. Keep an eye out on future stories that we post on the website as your comment may be featured on some of our major news announcements!